Location: Worldwide Length: 26 min. Archaeologists are hoping to unearth evidence of what they believe to have been one of Bronze Age Britain's largest axe-making "factories". Clwyd-Powys Archaeological Trust (CPAT) said the axes, made from a distinctive type rock - known as picrite - had been found throughout the country. A three-week survey at the 4,000-year-old site will start soon in Hyssington, near Welshpool, Powys. The trust's Chris Martin said it may have been a large industrial centre. THE remains of a woman have been laid to rest in a hidden location in the Yorkshire Dales – about 1,900 years after she died. She was returned in a special ceremony to the mysterious limestone cave where she was discovered by two Yorkshire divers more than a decade ago. Phillip Murphy, an academic at Leeds University, and his friend Andrew Goddard found the woman's skull by chance during a diving mission at the cave, dubbed the Wolf Den, in 1997. Carbon dating tests confirmed that the remains dated back to Roman times, and further visits to the site unearthed the bones of some medieval wild dogs and the first set of prehistoric cave footprints ever seen in Britain. Tiny bits of plant material found in the teeth of a Neandertal skeleton unearthed in Iraq provide the first direct evidence that the human ancestors ate vegetation, researchers say. Little is known about diet of Neandertals (also spelled Neanderthals), although it's widely assumed that they ate more than just meat. Much of what is known about their eating habits has come from indirect evidence, such as animal remains found at Neandertal sites and chemical signatures called isotopes detected in their teeth. The new hard evidence is microfossils of plant material that investigators found in the dental plaque of 35,000-year-old Neanderthal teeth, said lead study author Amanda Henry, a graduate student in hominid paleobiology at The George Washington University. A study into a mass Roman grave excavated in Gloucester appears to show the dead had been killed by plague. The remains of around 91 individuals, uncovered in 2005, are part of Wooton cemetery which was the burial ground for the fortress at nearby Kingsholm. The bodies appear to have been thrown in haphazardly during the second half of the 2nd Century. 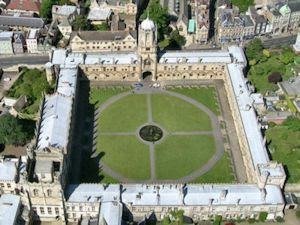 Oxford Archaeology who analysed the remains say they are the victims of an epidemic, perhaps the Antonine Plague. THE END of a 40-year search for Dorchester's Roman Fort could be in sight for leading archaeologist Bill Putnam. He is pinning his hopes on builders exposing a road that tracked across the area that became the Roman town of Durnovaria. Part of the road has already been found during excavations in the town centre. But the fort itself has eluded the retired Bournemouth University archaeology lecturer. One of the British Museum’s most popular exhibits is on loan to Manchester Museum for the next year. Lindow Man was discovered in 1984 on Lindow Moss in Cheshire. Since then scientists, archaeologists, historians, curators - and the public - have been eager to find out more about him. A Bog Body Mystery looks at the story of Lindow Man through seven different inquisitive minds, including those of a forensic archaeologist, a peat digger, a curator and a druid priest. Timbers from three medieval bridges in Leicestershire are being restored after a donation of 40 tonnes of sugar. The 11th Century timbers were found in Hemington Quarry in 1993 and are being preserved at Snibston Discovery Park. The wood is immersed in liquid sugar as part of the conservation process. The sugar crystals gradually replace the water in the wood and prevent warping. The final batch of sugar - donated to the county council by British Sugar - was delivered on Tuesday. URFA, Turkey - As a child, Klaus Schmidt used to grub around in caves in his native Germany in the hope of finding prehistoric paintings. Thirty years later, as a member of the German Archaeological Institute, he found something infinitely more important: a temple complex almost twice as old as anything comparable. "This place is a supernova," said Mr. Schmidt, standing under a lone tree on a windswept hilltop 35 miles north of the Syrian border. "Within a minute of first seeing it, I knew I had two choices: go away and tell nobody, or spend the rest of my life working here." According to German and Italian chemists who have analysed samples from several figurines, the egg was as a binder for colourful paints, which went over a layer of lacquer. "Egg paint is normally very stable, and not soluble in water ... This makes it less sensitive to humidity and moisture," says German co-author Catharina Blaensdorf, a scientist at the Technical University of Munich. Archaeologists have started digging up a site in the centre of Birmingham to try and find out more about the city's industrial heritage. The dig is taking place at the home of the new city centre library, between Baskerville House and the Birmingham Repertory Theatre in Centenary Square. Experts said they hoped to uncover the remains of an old canal, a mill and a brass works. The work is expected to last a total of four weeks. THE Romans certainly knew how to build well. Archaeologists have discovered the remains of the original turf wall built on the edge of the River Medway in about 70AD. Their discoveries, found in the winter but kept secret until now, were made while they were exploring the flint-and-brick wall that eventually replaced it. Archaeology South-East carried out the dig at the Rochester Riverside site as part of the preparations by Medway Renaissance, the council's regeneration team. Location: Oregon Length: 40 min. The 2008 announcement of early human DNA from desert rockshelters in eastern Oregon may be the final nail in the coffin of the Clovis-first hypothesis. In this interview, Dr. Dennis Jenkins, speaking from the site where his field team recovered clearly pre-Clovis coprolites, relates why and how the excavation was carried out, explains the significance of the find and shares his personal reflections on making a momentous discovery. Images within the interview show the surrounding environment and the student field crew. THE site of a North-East medieval village is to be the subject of a television programme. The Channel 4 archaeology documentary Time Team spent three days excavating in Ulnaby, on the outskirts of Darlington. The series, which is presented by Tony Robinson, who played Baldrick in the comedy series Blackadder, was trying to establish when the village was founded. The village is a Scheduled Ancient Monument because it is so well preserved. Das Land Schleswig-Holstein plant, ein neues Forschungsinstitut für baltische und skandinavische Archäologie einzurichten. Das kündigte Wissenschaftsstaatssekretär Jost de Jager am 17. April am Rande einer Sitzung des Verwaltungsausschusses der Leibniz-Gemeinschaft im archäologischen Landesmuseum Schloß Gottorf an. Basis des neuen Instituts soll die bestehende Forschung des archäologischen Landesmuseums sein. Langfristiges Ziel des Landes Schleswig-Holstein sei es, das Forschungsinstitut für baltische und skandinavische Archäologie in der Leibniz-Gemeinschaft zu verankern, sagte de Jager. After a nearly 30,000-year silence, Neanderthals are speaking once more, thanks to researchers who have modelled the hominids' larynx to replicate the possible sounds they would have made, scientists say. The work, led by Robert McCarthy, an anthropologist at Florida Atlantic University at Boca Raton, is based on Neanderthal fossils found in France. The item includes an audio snippet in which a computer synthesizer replicates how a Neanderthal would say an "e" and compares this with the same sound as made by modern humans. Talk about a long silence – no one has heard their voices for 30,000 years. Now the long-extinct Neanderthals are speaking up – or at least a computer synthesiser is doing so on their behalf. Robert McCarthy, an anthropologist at Florida Atlantic University in Boca Raton has used new reconstructions of Neanderthal vocal tracts to simulate the voice. He says the ancient human's speech lacked the "quantal vowel" sounds that underlie modern speech. Quantal vowels provide cues that help speakers with different size vocal tracts understand one another, says McCarthy, who was talking at the annual meeting of the American Association of Physical Anthropologists in Columbus, Ohio, on April 11. Do tomorrow's archaeologists a big favor: Always carry some change in your pocket. That way if you happen to be buried alive by an earthquake, any future researchers who unearth your bones from the quake debris can easily approximate the year of the quake. That's one way that earthquakes in parts of the ancient Roman Empire have been dated. But usually it's not so easy, say researchers who are pioneering the new field of archaeoseismology. Their aim is to clean up the seismological record by calling on geologists, engineers and seismologists to help archaeologists make better sense of ancient disasters. "A better term is earthquake archaeology," said Manual Sintubin, a professor of geodynamics at Katholieke Universiteit Leuven in Belgium. HI-TECH ammunition from the Middle Ages is going on show for the first time in North Yorkshire. Armour-penetrating arrowheads are among the fearsome armaments found at Pickering Castle in the 1920s and about to be revealed to the public by English Heritage. The artefacts - which include other specimens modelled to rip through chain mail or hunt deer and wild boar in the forest surrounding the castle - are among 800,000 items kept by the conservation watchdog at its main archaeological store for the north, at Helmsley in North Yorkshire. For years, mystery has surrounded the whereabouts of the Augustinian abbey which gave Derby suburb Darley Abbey its name. It is known that it was in existence in the mid-12th century but was closed down following Henry VIII's dissolution of the monasteries in October 1538. Large parts of the buildings appear to have stood in the village for many years after that. But in a kind of 18th-century recycling scheme, the stone was probably removed and used to create other buildings, leaving little or no obvious trace of the mediaeval abbey. Records are sketchy and no specific maps exist of the era when the abbey was a flourishing community. Theories about the date and purpose of Stonehenge are to be tested through the first excavations to be permitted inside the stone circle since 1964. Scheduled Monument Consent has been granted for a two-week excavation by Tim Darvill of Bournemouth University, and Geoff Wainwright, President of the Society of Antiquaries, which was completed on 11 April 2008. The aim of the excavation is to find out precisely when the Double Bluestone Circle, the first stone structure on the site, was built; how long it was in use, and when it was dismantled and reused in later stages of the evolution of Stonehenge. Current estimates put the erection date at around 2,550 BC, but dateable materials from earlier excavations were poorly recorded and cannot be attributed to specific features and deposits with any certainty. Dr Simon Thurley, Chief Executive of English Heritage, said: 'The bluestones hold the key to understanding the purpose and meaning of Stonehenge. Their arrival marked a turning point in the history of Stonehenge, changing the site from being a fairly standard formative henge with timber structures and occasional use for burial, to the complex stone structure whose remains dominate the site today. After a gap of some forty four years, Stonehenge is once again being excavated. Admittedly, this time it is only a very small hole, and is only being dug for a fortnight, but it is a very important hole, and on April the 9th, we were invited down to Stonehenge to inspect it. It was a wonderful trip, not least because the weather was perfect. After the heavy snow fall at the weekend the sun decided to shine and since we were allowed inside the circle, I took the opportunity to take hundreds of photographs. Twenty people accused in the plunder and sale of thousands of archaeological items have been arrested and their suspected booty — including Roman and Stone Age pieces — seized, police said Friday. Among the locations plundered were archaeological digs at Calpe on the eastern Mediterranean coast and Municipium Augusta Bilbilis near Calatayud in central Spain, where the Romans built a colonial city on an earlier settlement. He supposedly preferred to remain behind the scenes, but after 1,800 years one of Rome's most reclusive emperors has been thrust into the limelight. A statue of Lucius Verus, who ruled ancient Rome alongside his more famous adopted brother Marcus Aurelius, was recently recovered among a cache of looted artifacts, Italian officials say. Investigators found the intricately carved marble head in a boathouse near Rome, saying the find was particularly significant because Lucius was reluctant to pose for official portraits. Only four other depictions of Lucius are known to exist, experts said. A senior Greek archaeologist warned this week that the last original sculptures still adorning the Parthenon, Athens' iconic ancient temple, face a major pollution threat and must be removed to a museum. "There are still 17 original metopes (sculpted plaques) which must be protected because they can no longer endure atmospheric conditions," Acropolis site supervisor Alexandros Mantis told AFP on Friday. Mantis has proposed that the endangered sculptures be replaced by replicas and kept safe in a new museum located below the Acropolis that is scheduled to open in September. He singled out 14 plaques on the Parthenon's western facade which are in a "pitiful" condition, plus two more on the northern side. "Heritage. To some, a word which encapsulates all our pasts, and personalizes them; to others it’s anathema, a word often used to denote the commercialization of our patrimony, an industrialization of history. Let’s discuss … "
A New Blog discussing aspects of heritage. 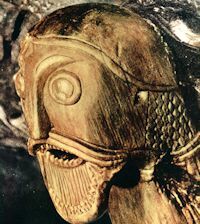 You can find the blog at http://thehword.wordpress.com/ or from the link under "Archaeological Weblogs" in the sidebar. AN Ancient Greek explorer's extraordinary voyage took him to the Isle of Man 300 years before the birth of Christ, new research claims. Scientist and geographer Pytheas (pronounced Puth-e-as) is now believed to have visited the Island in about 325BC to take sun measurements during a three-year voyage – the first recorded circumnavigation of the British Isles. Pytheas was born in the Greek settlement of Massalia, now Marseille, about 360BC and was a contemporary of Alexander the Great (356-323BC). The catastrophic decline of North Sea cod as the result of over fishing has had an impact on all our menus, from the poshest restaurants to the corner chippie: the fish left are few and small, compared with those of less than a century ago. Cod more than a metre in length are rare these days, whereas archaeological remains show that fish several times that size were common. A new study shows that cod were exploited in the Middle Ages from many, often distant, fishing grounds, with an international trade in dried stockfish. Some fish eaten in a Yorkshire village may have been some from off the coast of Sweden, while merchants in what is now northern Germany ate cod from Arctic Norway. A CHURCH wall which fell down in storms has revealed a 1,000-year-old Norman monument. St Mary's Parish Church wall crumbled after being weakened in floods earlier this year, revealing the 11th century motte (mound) and bailey (moat) which have been out of sight for hundreds of years. The moat is now a pond containing newts, which church committee members believe may be protected. Committee member Stephen Butler said: "The wall fell into the pond, so to rebuild it we would have to go into the pond which would disturb the clay bottom and the newts. ATHENS (Reuters) - Ancient open-air theatres across Greece are crumbling due to neglect and need swift government intervention to rescue them, archaeologists said on Thursday. Greece, where Classical drama was born in the 5th century BC, boasts scores of theatres that form a key part of the country's classical cultural heritage. But while about 30 are in a state to host cultural events, 76 are in need of urgent repair, they said. "Ancient theatres need to be constantly preserved, some need to be restored, but what they mostly need is to be used," classical archaeology professor, Petros Themelis told Reuters. Archaeologists, architects and dignitaries from Greece's political and cultural life have joined forces to push the government to take action to preserve the structures. Das Bruchstück eines Messers aus Feuerstein sowie Reste von eiszeitlichen Tieren kamen in der Baugrube des neuen Kraftwerks in Hamm-Uentrop zutage. Ein Fußwurzelknochen, ein Oberschenkelknochen und die Spitze eines Stoßzahnes von einem Mammut, dazu ein Stück von einem Schulterblatt eines Wollnashorns und ein Knochen von einem kleineren Tier, wahrscheinlich der Oberarmknochen eines Wildrindes, lagen in einer Kiesschicht. Die Fundstelle liegt unweit der heutigen Lippe. The remains of hundreds of victims, believed to have been killed in a plague that swept Italy 1500 years ago, have been found south of Rome. The bodies of men, women and children were found in Castro dei Volsci, in the region of Lazio, during excavations carried out by Lazio archaeological office. News of the extraordinary discovery was reported in the magazine, "Archeologia Viva". The victims are believed to have been victims of the Justinian Plague, a pandemic that killed as many as 100 million people around the world during a 50 year period in the 6th century A.D. It spread through Europe as far north as Denmark and as far west as Ireland. In seventh century England, a woman's jewelry-draped body was laid out on a specially constructed bed and buried in a grave that formed the center of an Anglo-Saxon cemetery, according to British archaeologists who recently excavated the site in Yorkshire. Her jewelry, which included a large shield-shaped pendant, the layout and location of the cemetery as well as excavated weaponry, such as knives and a fine langseax (a single-edged Anglo-Saxon sword), lead the scientists to believe she might have been a member of royalty who led a pagan cult at a time when Christianity was just starting to take root in the region. "I believe it is a cult because of the arrangement of graves, the short period of the cemetery's use and the bed burial and burial mound that is almost in the center of the very regular cemetery," archaeologist Stephen Sherlock, who directed the project, told Discovery News. A rare 2,000-year-old Roman skull has been returned to the cave beneath the Yorkshire Dales where it was discovered by divers in 1996. Archaeologists were called in after cave divers unearthed human bones in what is believed to be one of the most important cave discoveries ever made. The skull dates to the 2nd Century and is that of a local woman in her 50s. It was stored at Sheffield University for carbon-dating and recently returned to the cave, which has now been sealed. ROME: Italian police have recovered a rare statue of a Roman emperor, known for his reluctance to sit for portraits, among more than a dozen looted ancient artifacts hidden in a boat garage, officials said Friday. Red-figured ceramic vases stolen from an Etruscan tomb in central Italy were also among the stash recovered last month in the port town of Fiumicino, near Rome's Leonardo da Vinci airport, and traced to an antiquities dealer in the capital, police said. The Society for the Protection of Ancient Buildings says that satellite navigation systems are unwittingly causing damage to our historic environment. In fact, sat-nav systems pose a threat to Britain's ancient bridges, roads and buildings as increasing numbers of drivers are directed to use lanes and country roads never designed for heavy vehicles. The issue is highlighted in the latest issue of Cornerstone, the members' magazine of the SPAB. Lorries believed to have been using sat-nav devices recently damaged the 200-year-old bridge over the river Ock at Charney Bassett in Oxfordshire as well as striking the ancient railings around Ock Green. Archaeologists working on the first dig at Stonehenge in 40 years have made "good progress", English Heritage said today. A trench is being excavated at the World Heritage site in a bid to establish the precise dating of the Double Bluestone Circle, the first stone structure that was built there thousands of years ago. After 10 days digging, the team uncovered sockets that once held bluestones - smaller stones, most now missing - which formed the site's original structure. The researchers will now remove organic material from the holes, which they will analyse in an attempt to determine when the stones first arrived. A research team from the Department of Genetics, Physical Anthropology & Animal Physiology in the Faculty of Science and Technology at the Leioa campus of the University of the Basque Country (UPV/EHU), and led by Ms Concepción de la Rúa, has reconstructed the history of the evolution of human population and answered questions about history, using DNA extracted from skeleton remains. Knowing the history of past populations and answering unresolved questions about them is highly interesting, more so when the information is obtained from the extraction of genetic material from historical remains. An example is the necropolis at Aldaieta (Araba) where some of these mysteries about these peoples have been answered – thanks to the study of their DNA. Aldaieta brings together certain important features which make this site a prime archaeological and historical record and its conservation an important task of restoration and study. In this vein, the Department of Genetics, Physical Anthropology & Animal Physiology in the Faculty of Science and Technology at the University of the Basque Country (UPV/EHU), has undertaken a study of DNA in the necropolis at Aldaieta (Araba). A fragment of an ancient Roman equestrian statue that once adorned the Colosseum has been found during excavations near the world famous Italian landmark. According to the Italian daily, Il Messaggero, the fragment was discovered among the remains of an ancient pavement that once surrounded the amphitheatre. "A marble fragment measuring one metre by a metre and a half, is from an equestrian statue, probably a statue that embellished the arches of the Colosseum," said archaeologist Silvana Rizzo, advisor to the minister of culture and tourism, Francesco Rutelli. "The left flank of a rider with the detail of a leg, bridle and harness of a horse, as well as a part of a dagger scabbard are perfectly visible from the fragment," said Rizzo, who has spent his life doing Roman excavations. Archaeologists working on the changing face of York have unearthed a remarkable medieval find. This ancient carving was found upside down in the foundations of a building at the massive Hungate site, east of the city centre. The building dates back to the 16th century, but the object - known as a corbel - is believed to be from the late-13th to mid-14th century. Peter Connelly, Hungate excavations project director, said: "It really is rather an impressive find. We don't know much yet but our research on the corbel is proving very interesting." EXPERTS at English Heritage have found an ultra-modern solution to the age-old problem of the erosion of some of the region's most significant heraldic stone carvings. Stonework on Sunderland's early-15th Century Hylton Castle gatehouse tower, which displays fine examples of royal heraldry, including Richard II's White Hart badge, has suffered damage from hundreds of years of rain, snow and wind. Now specialised work using high-tech scanning equipment is taking place to measure the rate of decay - and find the best way of stopping it. Stuart Chadwick, senior surveyor with laser scanning specialists Greenhatch, said: "The scanner actually revolves as it moves over the surface of the stonework. As it turns, it fires lasers in all directions, taking measurements at a speed of 500,000 points a second. When it has done a full sweep you get a threedimensional image, from which we can produce 3-D meshed models and elevations. ARCHAEOLOGISTS are hoping to find historic artefacts as a dig begins at Abingdon's Old Gaol in preparation for its redevelopment. Depending on what is found, the work will determine when the development of homes, shops and restaurants can proceed. Trial trenches have been dug to establish the nature, extent and character of any surviving archaeological features in the former leisure centre, in Bridge Street. Oxfordshire County Council records show that medieval and Roman artefacts have been found there. HISTORY detective Brian Leslie unearthed part of the medieval past of a small North-East village when he discovered a silver brooch dating back to the 14th Century. The 47-year-old, who is a bricklayer by day and a metal detector enthusiast in his spare time, has passed the brooch to the British Museum for display. Yesterday, a treasure trove inquest was held in Hartlepool Coroner's Court to decide whether the 21mm brooch was a treasure. Coroner Malcolm Donnelly said that as the brooch consisted of more than ten per cent silver, and was more than 300 years old, it did qualify. A bay in the far north of Scotland is to be searched by archaeologists in the hope of uncovering Viking artefacts. Items have been found at opposite ends of Dunnet Bay in Caithness, but the links area have not been thoroughly investigated before. Test pits will be dug and soil samples analysed by a new, community-owned archaeological research centre. The base is housed within Castletown Heritage Society's premises in a former farm steading at Castlehill. ARCHAEOLOGISTS have meticulously built up a picture of ancient settlements in an isolated location near Aldeburgh. Their work follows two digs during which they discovered evidence of life in the Anglo-Saxon period at Barber's Point, which is on the banks of the River Alde opposite Iken. The digs were carried out in 2004 and 2006 by up to 50 volunteers with the help of the county council's archaeological service. The Local History Initiative gave £25,000 towards the work which was commissioned by the Aldeburgh and District Local History Society. A new centre for historical archaeology is to open in the city. The centre will be launched by the vice-chancellor of the University of Leicester, Professor Robert Burgess, at a conference on historical archaeology tomorrow. Historical archaeology is the study of past societies, using written texts and artefacts, and can include the study of classical Greek and Roman civilizations as well as the medieval and modern worlds. One of Exeter's most historic buildings is to reopen at the weekend following a three-year restoration project. Structural repairs and new fittings and furniture, at a cost of almost £500,000, has returned St Nicholas Priory at The Mint, off Fore Street, to its former glory. Regarded as one of the city's historic gems, experts say it is equal to the cathedral in heritage value. Built more than 900 years ago, it was originally the home of Benedictine monks. Its heyday in Tudor times has been authentically brought back to life with the restoration of a kitchen with two open fireplaces. The room called the Parlour has been painstakingly remodelled on the 16th century design of panelled walls and plasterwork ceilings. Oak panelling, which originally came from an ancient house owned by a merchant in Exeter's High Street, was brought back from America after it was shipped there in the 1930s. In ancient times the Appian Way, which links Rome to the southern city of Brindisi, was known as the regina viarum, the queen of the roads. But these days its crown appears to be tarnished by chronic traffic congestion, vandalism and, some of its guardians grumble, illegal development. "Look at this!" bristled Rita Paris, the Italian state archaeological official responsible for the Appian Way, peering through a weathered bamboo screen lining the road while bumpily maneuvering her car through a patch of uneven ancient stones. "You can bet that it was once a canopy that was walled in and transformed into a home." A bit farther on she fumed about a plant nursery that had become a restaurant, without planning permission, a cistern that had morphed into a swimming pool, and the new villas tacked on to ancient monuments. Several are rented out for wedding receptions or society balls, which makes for a steady stream of traffic - and occasionally, "fireworks," Paris said with a shudder. Considered prime real estate in ancient times, when the Romans buried their dead along tomb-lined roads outside the city walls, the Appian Way underwent a contemporary renaissance in the 1960s when Rome was known as Hollywood on the Tiber. Italian film stars moved in en masse, although today it is mostly home to the moneyed. DONCASTER Museum is expected to stage an exhibition of the borough's recent major Viking or Saxon find in the next few months. Doncaster Council expects the bones of the 35 people whose grave was found during site preparations for the construction of the new North Ridge Community School in Adwick to be returned when archaeologists finish working on them. But it is unlikely all the bones will be put on public display at the Chequer Road venue and may be kept in storage by the authority. se finds within the next few months." A forensic investigation has been launched after a human skull was found near a prehistoric hill fort by a man walking his dog. Police were sent to woodland near Blackbury Camp, Seaton, East Devon, after the discovery. The skull, believed to be that of an older man, was found partially buried in soil within a small stone circle. Police would not confirm whether the skull was that of a sacrificial victim. A spokesman said the skull had been examined by a pathologist and an archaeologist and that these examinations suggested it may be several generations old. Popular UK archaeological show Time Team has been sold as a format to US pubcaster PBS. The deal was announced at the MIPDOC programming market, in Cannes, April 6. Time Team USA will be co-produced by Oregon Public Broadcasting, and UK producers Videotext Communications. The deal was struck by Channel 4i (C4i). The first series will cover six episodes, with the team of experts on Time Team, USA (working title) exploring some of America’s most intriguing archaeological sites, with locations under consideration including the pre-historic Mounds of Mississippi, earth pyramids outside St. Louis, Missouri and the country’s most ancient campsite, the Skull Creek Dune in southeastern Oregon. Recent findings by a Russian-American research team suggest that prehistoric cultures were hunting whales at least 3,000 years ago, 1,000 years earlier than was previously known. University of Alaska Museum of the North archaeology curator Daniel Odess presented the team's findings at the Society for American Archaeology annual meeting in Vancouver, British Columbia last week. "The importance of whaling in arctic prehistory is clear. Prehistoric settlements were situated and defended so that people could hunt whales," says Odess. "Yet, as important as whaling is, we know very little about how, where and when it began." Die Institution "Staat" erscheint selbstverständlich. Schließlich ist sie allgegenwärtig: Arbeitsverhältnisse, Gesundheits- und Altersversorgung, Bildung und Ausbildung, Erziehung und Wissenschaft, selbst die intimsten familiären Beziehungen, das Verhältnis von Männern und Frauen, Eltern und Kindern sind heute von staatlichen Strukturen durchzogen und werden durch Vorgaben oft bis ins Detail geregelt. University of Michigan researcher Josep M. Pares is part of a team that has discovered the oldest known remains of human ancestors in Western Europe. The find shows that members of the genus Homo, to which modern humans belong, colonized the region much earlier than previously believed. Details of the discovery were published in the March 27 issue of the journal Nature. The fossil—a small piece of jawbone with a few teeth—was found last year in a cave in the mountains of northern Spain, along with primitive stone tools and bones of animals that appear to have been butchered. Some of the United Kingdom's most storied soil was disturbed Monday for the first time in more than four decades as archaeologists worked to solve the enduring riddle of Stonehenge: When and why was the prehistoric monument built? The excavation project, set to last until April 11, is designed to unearth materials that can be used to establish a more specific date for when the mysterious first set of bluestones was put in place at Stonehenge, one of Britain's best known and least understood landmarks. The UN World Heritage site, a favorite with visitors the world over, has become popular with Druids, modern-day pagans, and New Agers, who attach mystical significance to the strangely shaped circle of stones. But there remains great debate about the actual purpose of the structure. A unique silver treasure has been uncovered near Sweden’s Arlanda airport. Some of the coins come from Bagdad and Damascus and are thought to be from 500 to 840 AD and appear to have been buried around 850 AD. They were found on the edge of a grave which is believed to be 1000 years older than the treasure. Rome's ancient monuments are so poorly guarded that tourists are taking away mementos of their visit to the Eternal City with impunity. Archaeologists said yesterday that Trajan's Forum, in the heart of the city's classical ruins, had been stripped of all the fragments of statues and shards of amphorae that adorned the site until recently. To highlight the problem, a reporter from Il Messaggero newspaper carried away large boxes full of ancient artefacts during the daytime without being challenged. An archaeologist working at the site, who asked not to be named, said: "Everything has been taken from Trajan's Forum. The close-circuit television cameras are pointless, and the gates are practically non-existent. Even a child could climb over them. The field archaeology unit at St Albans Museums was digging a trench for a new electricity cable when Jack Couch made the new find of a chequered mosaic. Probably not seen for nearly 2,000 years, the mosaic is made up of red or brown tessera in a grid of grey Purbeck marble. It may be from the corridor of a town house built close to the hypocaust. CREATED by Benedict Biscop in the 7th century, the joint monastic site of Jarrow and Wearmouth is one of the greatest treasures from the Golden Age of Northumbria. The visit of leading heritage experts to the site yesterday underlined the importance of the World Heritage Site bid. A local authorities World Heritage Forum was staged, bringing together local authority elected members and officials from across the country who are closely involved in World Heritage Sites. The fate of a fourteenth-century pocket calculator is hanging in the balance between museum ownership and private sale. The device is a brass astrolabe quadrant that opens a new window on the mathematical and astronomical literacy of the Middle Ages, experts say. It can tell the time from the position of the Sun, calculate the heights of tall objects, and work out the date of Easter. Found in 2005, the instrument has captivated experts. Now they hope to keep it in public hands — not just to ensure future access to it for researchers, but because it is deemed an item of national cultural importance. Archaeologists in Somerset have uncovered evidence of a medieval gateway at Taunton Castle. The team made the discovery during excavations as part of the Museum of Somerset Project which will see the castle restored and modernised. The project has recently been given a boost from the Heritage Lottery Fund of £4.8m. This will go towards the overall project costs of £6.5m. The excavations form the first stage of the project. On the basis that old news is good news, I was delighted to read about excavations at Stonehenge in the Guardian (The Lourdes of ancient Britain? Dig aims to reveal Stonehenge's purpose, April 1). However, you do your man on the spot, Geoffrey of Monmouth, a grave disservice by quoting him as reporting that Merlin flew the bluestones from their original site to Salisbury plain. Clearly aware, through his powers of prophecy, of the future difficulties likely to face travellers attempting to bring substantial items of luggage into the island of Britain by air, Merlin had them brought by sea (The History of the Kings of Britain, Penguin Classics edition, 1966, p 198). Today it is little more than a long, narrow park, 340 metres in length, with a small archeological dig fitfully in progress at its south-eastern end. It can still hold a crowd: Genesis played a free concert here last year, and Bob Geldof persuaded Rome's mayor, Walter Veltroni, to let him use it for the Italian leg of the Live-8 spectacular in 2005. The rest of the time it is the haunt of dog-walkers, joggers and the occasional conceptual artist. But 2,000 years ago this was the most exciting spot in the city. Long before the building of the Colosseum, crowds in their hundreds of thousands packed the stands to watch 12 teams of charioteers scorch the earth. Gladiators and wild animals fought in mortal combat, and the central arena was often flooded so miniature triremes could battle it out for the Romans' delight. If a particularly large number of people had to be crucified, Circus Maximus was the obvious place to do it. Location: Virginia Length: 11 min. Colonial Virginians and the Church of England established Elk Run Church in the 1740s. After the Revolutionary War, it became part of the Episcopal Diocese of Virginia. In the following decades the church was abandoned and disappeared, but remained in the memory of local families. The church’s first rector, James Keith, was the grandfather of U.S. Supreme Court Chief Justice John Marshall. This video documents the archaeological investigation of the church, beginning with the first survey in 1999, and its development as a historical park. The study tour for 2008 is an introduction to the wonderful archaeology of the Poitou region. We will stay in Saintes – one of the archaeologically richest towns in the area. Situated on the River Charente, this attractive town has a number of Roman and medieval sites and is an ideal town for our base. Poitou has a wide and varied number of archaeological sites ranging from the important prehistoric burial centre at Bougon to the richly sculptured Romanesque churches that abound in the area. I'm amused at the suggestion by the team excavating Stonehenge that the site was originally the Lourdes of the Bronze Age and the supernatural powers of the Welsh bluestones were supposed to heal the sick. Earlier theories have suggested it was a burial place, a temple, or astronomical observatory. I thought I had put a stop to all this nonsense when I released the results of my own researches last year. For the benefit of those archaeologists who still have their heads stuck in their own trenches and are not aware of what is going on, I will repeat my main finding: Stonehenge was built to hold the world's first ever public inquiry. Protesters who fought against the excavation of one of Norfolk's finest archaeological treasures were among the first to see it when it went on show to the public yesterday. Seahenge, the enigmatic timber circle, forms the centrepiece of a new £1.2m Bronze Age gallery at Lynn Museum. Druids staged a sit-in on its central stump when the 4,000-year-old monument was discovered on the beach at Holme, near Hunstanton, nearly 10 years ago. Kept at bay by police cordons and court injunctions, they could only watch as the circle was removed for scientific analysis. Archaeologists working in Oxford city centre have unearthed bones that could be more than 2,000 years old. A team of archaeologists has been excavating a site between St Giles and Blackhall Road since mid January - and last week the diggers struck bone, uncovering what could be a mass grave. Seven bodies, believed to date to the Roman or Saxon period, have been found at the site. Does the human species have mammoth blood on its hands? Scientists have long debated the relative importance of hunting by our ancestors and change in global climate in consigning the mammoth to the history books. A new paper uses climate models and fossil distribution to establish that the woolly mammoth went extinct primarily because of loss of habitat due to changes in temperature, while human hunting acted as the final straw. It has been particularly difficult to untangle these two potential causes of extinction, as climate change and increased human hunting are linked. When the climate in mammoth territory started to become too warm for the furry beast, it allowed humans--who couldn't handle the lower, mammoth-friendly temperatures--to move into the area. Archaeologists working in the Russian Arctic have unearthed a remarkably detailed 3,000-year-old ivory carving that depicts groups of hunters engaged in whaling, which pushes back direct evidence for whaling by about 1,000 years. According to a report in Nature News, the ancient picture implies that northern hunters may have been killing whales 3,000 years ago and commemorating their bravery with pictures carved in ivory. Among the picture which depicts hunters sticking harpoons into whales, the site also yielded heavy stone blades that had been broken as if by some mighty impact, and remains from a number of dead whales. Stonehenge is a British wonder of the ancient world - it's also as familiar a part of our landscape as the White Cliffs of Dover. It's such an iconic sight, we tend to forget that two fundamental questions remain - when was it built and what was it for? For hundreds of years, these questions have intrigued and frustrated antiquarians and visitors alike. Remarkably, in the next fortnight, we might just have the beginning of some answers. A QUARTER of a century after striking lucky when he found a trove of Roman coins, a metal detectorist was in the money once again after unearthing a previously unrecorded example from the time of Emperor Hadrian. The rare find was among 11 silver coins found by David Scott at an undisclosed area in Weardale, County Durham. Yesterday, a treasure trove inquest in Durham confirmed the find as treasure after the British Museum declared an interest in keeping the coins. Buried underneath the fields surrounding Peterborough could be some of our most fascinating archaeology. Hannah Gray met archaeologist and aerial photographer Dr Ben Robinson to find out what lies beneath. IT may lack the stones or the druids taking part in midsummer rituals, but there is very good chance that Peterborough has its own equivalent of Stonehenge. If you were lucky enough to fly at 2,000 feet above the area around the A47 at Wansford, you may well notice some circles and lines in the crops which do not match the rest of the fields. Archaeologists working on the first excavation within the stone circles at Stonehenge since 1962 are once again attempting to unlock the secrets of the ancient monument by finding the foundation holes of the very first stone circle, built more than 4,500 years ago. The excavation, which is being led by Professor Tim Darvill of University of Bournemouth and Professor Geoffrey Wainwright, President of the Society of Antiquaries, aims to provide a more precise dating of the Double Bluestone Circle, which was later dismantled and re-erected. Due to take a fortnight to complete, the work will draw on newly developed techniques to date fragments such as antler bone tools and organic matter such as pollen grains and shells as well as fragments of the original blue stone pillars. The findings will then help archaeologists to accurately date the original monument. It is half a century since the inside of the mysterious circle was last excavated. Now a fresh dig has begun, aimed at solving a mystery which continues to baffle archaeologists. The last time any excavation was allowed inside its ancient sarsen stone pillars was in 1964 but now the first archaeological excavations at Stonehenge in almost half a century are attempting to solve, once and for all, the mystery of how and why the stone circle was built. The enigma of Stonehenge, famed for its orientation in relation to the rising and setting sun, has puzzled and divided experts for decades. Some say the ancient stones were built as a temple used to worship ancient earth deities. Others say it was a prehistoric astronomical observatory; others claim it was a sacred burial site for people of high birth. Arthurian legend even has it that the stones were put there by the magician Merlin. Rock paintings created during the Stone Age can still be seen today in dozens of sites around Finland. These awe-inspiring artworks are like windows into the ancient past, revealing tantalising glimpses of long lost cultures. FINLAND’S rock paintings mainly consist of brownish-red figures and markings painted onto steep granite walls, often overlooking waterways. Scenes feature people, boats, elk, fish and mysterious partly human figures that may be linked to shamanistic beliefs, as well as more abstract shapes and patterns whose meanings will probably remain forever lost in the mists of time. The first excavation inside the ring at Stonehenge in more than four decades gets under way on Monday. The two-week dig will try to establish, once and for all, some precise dating for the creation of the monument. It is also targeting the significance of the smaller bluestones that stand inside the giant sarsen pillars. Researchers believe these rocks, brought all the way from Wales, hold the secret to the real purpose of Stonehenge as a place of healing. The excavation at the 4,500-year-old UK landmark is being funded by the BBC. The work will be filmed for a special Timewatch programme to be broadcast in the autumn. Scientists claim to have solved the mystery of a giant asteroid impact on Austrian Alps more than 5,000 years back, by deciphering an ancient clay tablet. The tablet, discovered 150 years ago by Victorian archaeologist Austen Henry Layard in Iraq, contains drawings of constellations and pictogram-based text known as cuneiform — used by Sumerians, the earliest civilisation in the world. Using a computer programme that can reconstruct the night sky thousands of years ago, the British scientists have cracked the cuneiform code, The Daily Telegraph reported on Monday.. According to them, the tablet, which is a copy made by an Assyrian scribe around 700 BC, is actually a Sumerian astronomer’s notebook recording events in the sky on June 29, 3123 BC. THE discovery of the remains of a Second Century Roman roundhouse has attracted a huge amount of public interest with more than 500 people attending an open day at the Poulton site. The archaeological find – one of the most unusual in Lancashire for years – was uncovered at the start of a major sewer improvement scheme by United Utilities. A team of 10 archaeologists, from Oxford Archaeology, and specialist consultants for United Utilities are still working at the site off Garstang Road East. Viking experts will be gathering at The University of Nottingham to discuss the findings of latest research into the Norsemen. Taking in the way the Vikings fought, lived, and left their mark on Europe, some of the country’s leading experts in the field will be getting together at the Midlands Viking Symposium (MVS) on April 26. The MVS is aimed at anyone with an interest in the history and culture of the Vikings, with talks from specialists from a variety of disciplines whose work contributes to research in Scandinavia, the British Isles, and further afield. This research covers topics including population genetics, literature, coinage, sculpture, history, and archaeology. The first excavation for more than a generation at Stonehenge began yesterday, looking for evidence that the most famous prehistoric monument in the world was the Lourdes of the bronze age, where the sick and troubled sought healing from the supernatural power of bluestones brought from west Wales. Although the trench will be only 3.5 metres long and a metre deep, archaeologists expect to find the foundation holes of the very first stone circle, built more than 4,500 years ago and then altered over centuries. With luck they will find enough organic material, including pollen grains, snail shells and fragments of the antler tools of the builders, using techniques developed since the last excavations, to allow them to date the monument accurately.